The Baths of Caracalla come alive in one of the most secret and fascinating parts: the undergrounds, with their vaulted ceilings, welcome the exhibition of Many by Antonio Biasiucci from 11 October to 5 November 2017, curated by Ludovico Pratesi. Promoted by the Special Superintendency of Rome Archeology Fine Arts Landscape with Electa, the exhibition is inspired by the nature of the place. 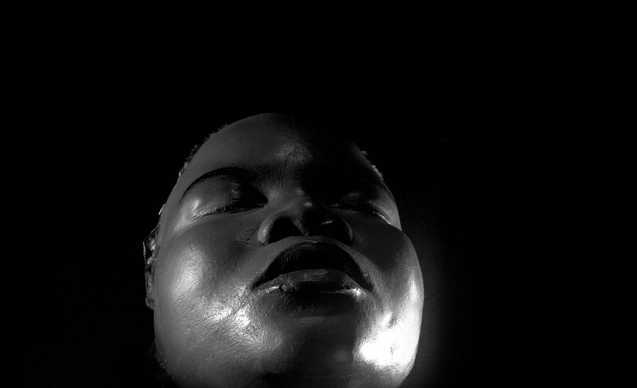 Fifty photographs of faces of men and women of different ethnic groups - strictly with their eyes closed and a relaxed and serene expression - emerge from the darkness of the dungeons. The artist evokes a past existence of faces, reminiscent of the hundreds of slaves and workers who worked in these dark spaces to allow the functioning of the baths, where in the light of the sun Roman citizens spent hours of fun and leisure. The photographs of the faces imprisoned in a metal frame covered with a crystal and placed directly on the floor, becomes a symbolic tribute to a present and necessary humanity. And to this humanity Biasiucci transmits the dignity of the portrait, granted in ancient times only to the most affluent classes. An artist whose works are part of the most important international museums and galleries, Antonio Biasiucci conducts his research through a very personal use of photography, impressing a surprising number on everyday images such as bodies, streets, even bread and his dough. He realized the images of Many in 2009, photographing in black and white the casts made by the anthropologist Lidio Cipriani in the thirties in some countries of North Africa. The first source of inspiration for the work, then, had been the story of migrants dispersed in our seas. With this exhibition at the Baths of Caracalla the artist gives a new meaning to Many. His faces are now silent and anonymous witnesses of the great history of Rome.